I never owned the VAMP or VAMP Mark II as a kid. 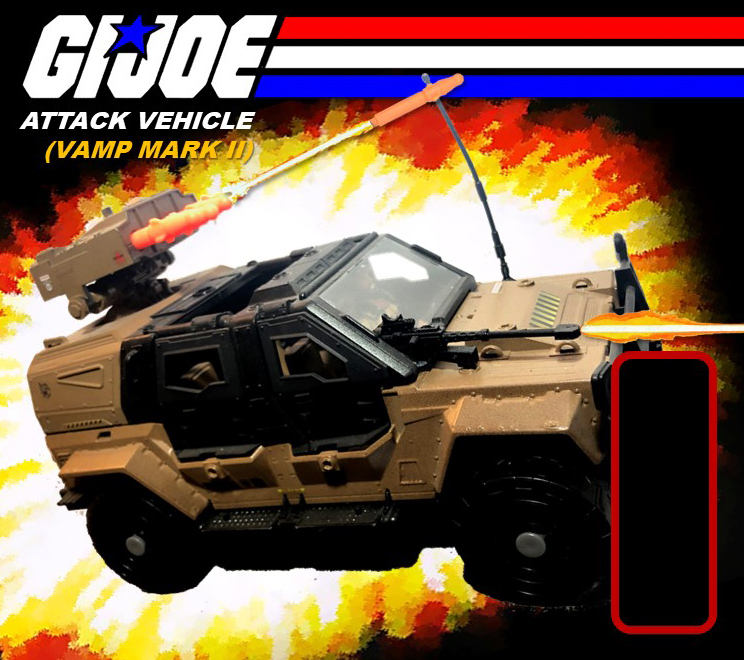 I didn't know anyone who had the Vamp Mark II, but always thought it was just the coolest looking vehicle. The vintage ARAH & 25th Aniv. VAMPs are a little cramped for the modern figure sculpts, but the POC VAMP Mk 2 and Retaliation Ninja Combat Cruiser provide the perfect updates. 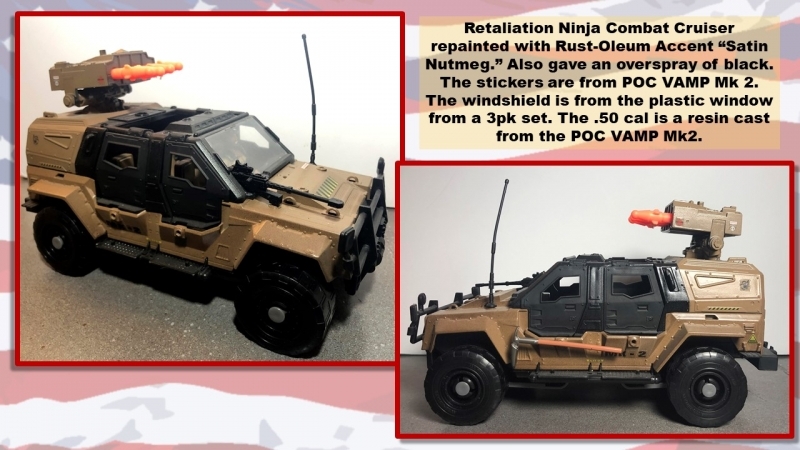 This is a basic repaint of the Retaliation Ninja Combat Cruiser. This design screams, "VAMP Mark II" update. I repainted the body and parts of the roll bar/camper "Satin Nutmeg." Then painted the remaining area of the roll bar/camper black. I also gave the vehicle an over spray of black to dirty it up just a bit. 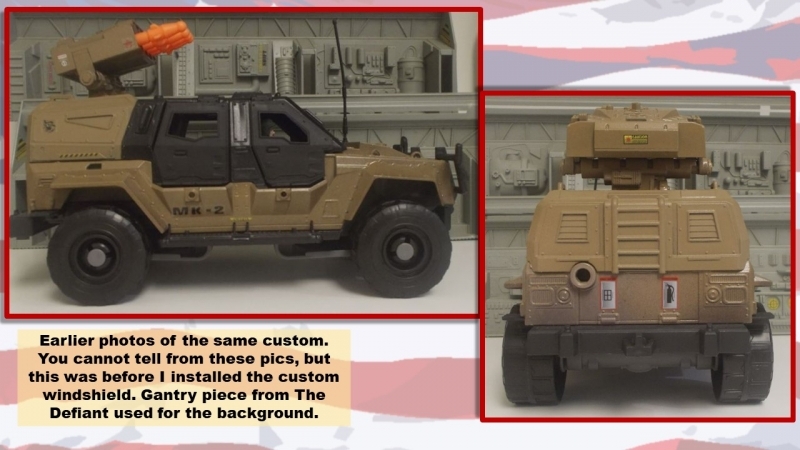 I cut out the windshield from the plastic of a GIJoe 3pk window box. The .50 cal heavy machine gun is a resin cast from one of the online customizing stores. I can't remember who I bought it from, either Vortious Customs or Avac's Lab (couldn't find it listed in any store anymore though). I didn't like the idea of the missile launcher being the only weapons. 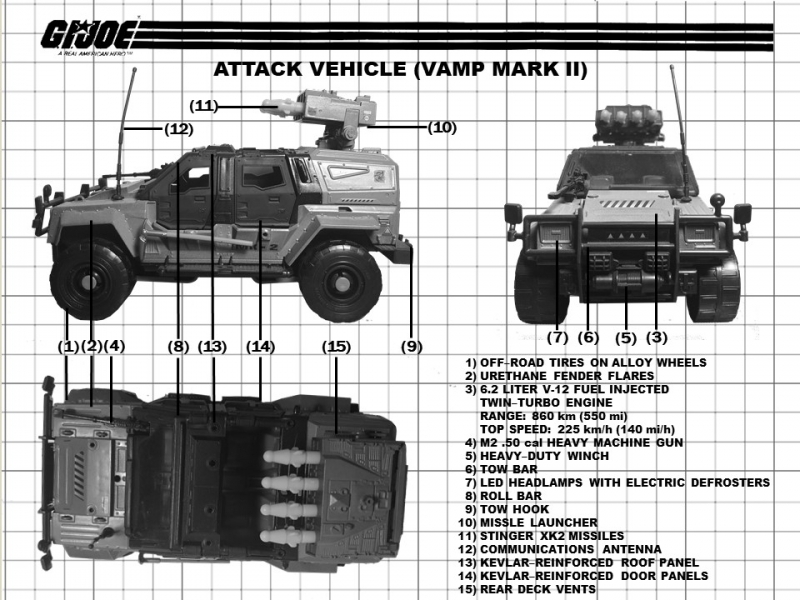 The original VAMP Mark II had that little machine gun molded just above the hood.